Residents of Fire District 7 (serving Clearview, Maltby, Mill Creek, Monroe and portions of unincorporated Bothell, Everett, Snohomish, and Woodinville) in Snohomish County wishing to provide emergency access to firefighters and EMTs responding to their residence are encouraged to purchase and install the Knox® HomeBox™. The HomeBox™ is only available online at www.knoxhomebox.com or by calling 855-438-5669. To order online, navigate to www.knoxhomebox.com and click on BUY NOW. Complete the "Choose Your Community" profile as shown below. This is correct for all areas served by Snohomish County Fire District 7. Once the Knox® HomeBox™ arrives, install the box in accordance with the included instructions. Ensure you have a key available to lock into the HomeBox™ and then contact the fire district to lock your key inside. You can request the HomeBox™ lock-up by email: riskreduction@snofire7.org or by phone: 360-805-0338, Option 2. If you need assistance with installation, please contact the fire district as indicated above to schedule a home visit for installation at no additional charge. After installation, only firefighters are able to access the key which is locked inside. In the event you have a law enforcement emergency, officers may call the fire district out to your residence to gain access. NOT LOCATED IN FIRE DISTRICT 7? If you are not located within Fire District 7, please contact riskreduction@snofire7.org with the proposed installation address, and we will gladly help you contact the appropriate resources to help with your desired HomeBox™ purchase. This link will take you to a page that specifies you are ordering a Knox product for installation in Monroe, Washington, which is the headquarters location of, and the correct fire department for all locations within Snohomish County Fire District 7: Maltby, Clearview, Mill Creek, Monroe, and unincorporated areas of Bothell, Everett, Snohomish, and Woodinville. Ordering through this link will ensure that the proper key code is for Fire District 7 is shipped to you. Your Knox Rapid Entry System product will be shipped to the address you specified during your order process. The Knox Product will not be able to be opened by anyone other than authorized Fire District 7 personnel. (All Knox Master keys are secured in district apparatus, and may only be accessed with an individual key release code). 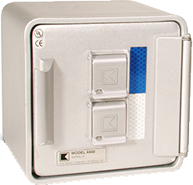 Knox boxes are shipped in an unlocked position, allowing you to install the box prior to the fire department arriving to secure your keys or key cards in the Knox Box. Installation instructions are included in the shipping materials. It is extremely important for the security of your building to install the product in accordance with the instructions, including using the proper grade of bolts and hardware specified in the instructions. Fire District 7 specifies a mounting height of 60" above the ground to the center of the box for Knox Boxes and otherwise a convenient height of all other products. Once your Knox product is installed and ready to be secured, please call the inspection request line to request the box be secured: 360-805-0338 x 2. You may also email your Knox product lock request to riskreduction@snofire7.org.